Welcome to CAESAR'S SPA! Our main goal is to make CAESAR'S SPA a centre for wellness. We want people to come from all over Cyprus, Europe, and even Israel. We strive them to come here, because just here it becomes possible to plunge into a powerful synergy of mysterious North Cyprus and the life-giving Dead Sea! Natural Dead Sea cosmetics PREMIER is available for sale! SALT ROOM (or a salt cave, halotherapy) is a specially designed room where the walls are lined with blocks of natural Dead Sea salt. Floating in the Dead Sea pool is one of the best relaxation therapies! The healing properties of a hammam make it incredibly beneficial for both the mind and body. Improve skin condition, relax the body and clear the mind. Dead Sea water floating pool, aromatherapeutic massage, aroma bath with blue salt or salt room and a bottle of Champagne. Salt peeling in Hammam, hot stones massage, aroma bath with sea minerals or Dead Sea water floating pool or salt room, mud or algae body wrap and a bottle of Champagne. If you are someone who wants to stay young and fresh, it means you need to pamper yourself and your skin. Many also feel that what we do at our home is enough for our face, which is not the reality. This is just a part of the whole process. 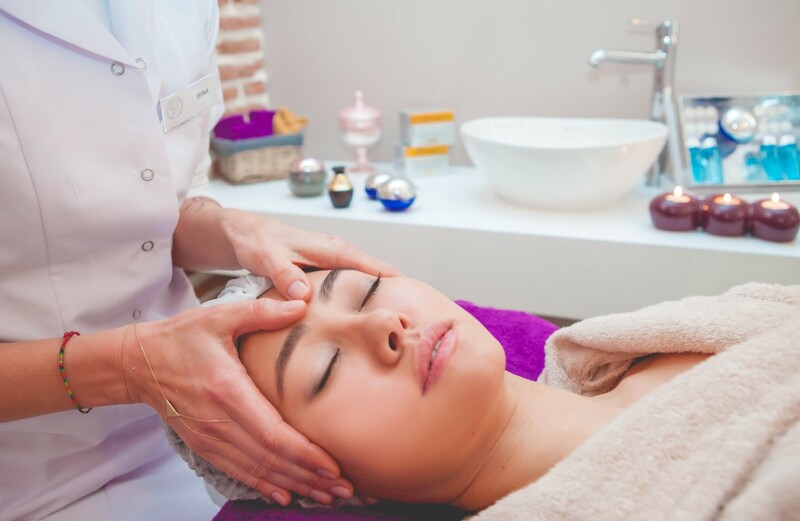 A professional beauty facial at CAESAR'S SPA fully cleanses your skin in a way that you simply can’t do at home. Moreover, you will never have the right products at home to get a professional effect. 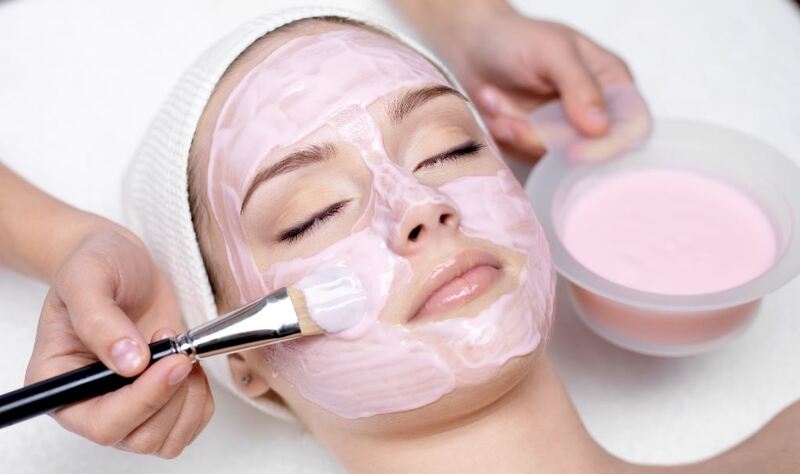 The deep cleansing, exfoliation and hydration a facial can provide helps in giving that extra care to your face. The experts at beauty parlour not only guide you through the whole process, but also give you personalised tips on taking care of your skin. It is a patented mask, unique in the world. Exfoliates, purifies, nourishes skin, renew cells. The procedure action is intensely active 8 hours after. It is patented mask, unique in the world. Smoothing, nourishing, purifying skin and renew cells. The procedure action is intensely active 8 hours after. Lifting, Anti-wrinkles, Brightening and Shine. PREMIUM NON SURGICAL FACE LIFT TREATMENT "LA MOLECULE"
An unprecedented concentration of lifting extracts and active Dead Sea minerals transform your face. Lifted, illuminated satin, replaces the tired skin of moments ago. The results are immediate - the improvement dramatic. This procedure helps to revive cellular metabolism and overcome skin deficiencies. It improve results in the battle against skin aging. Cleansing, Purifying, Anti-Wrinkle, Adds Tone and Elasticity, Lifting. The primary focus of Ayurvedic Treatments is to maintain that this balance prevents illness, treats acute conditions, and contributes to a long and healthy life. Ayurvedic Treatments evolved in India, and is considered to be the world's oldest healthcare system. It is named for the Sanskrit word Ayurveda, meaning the "science of life.“ Oil is integral part of all treatments. The "Dead Sea Premier Cosmetics Laboratories" brand is one of the most recognized Israeli brands in the world. For the past quarter of the century, following its foundation in 1990, the company has developed tremendously. Currently, "Premier" manufactures more than 150 premium-class cosmetic products and exports them to more than 62 countries. The Award winning, patented products have been recognized around the world for their effectiveness and innovation and now available FOR SALE in CAESAR’S SPA!